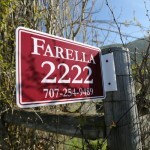 Farella Vineyard is located about 4 miles east of downtown Napa. 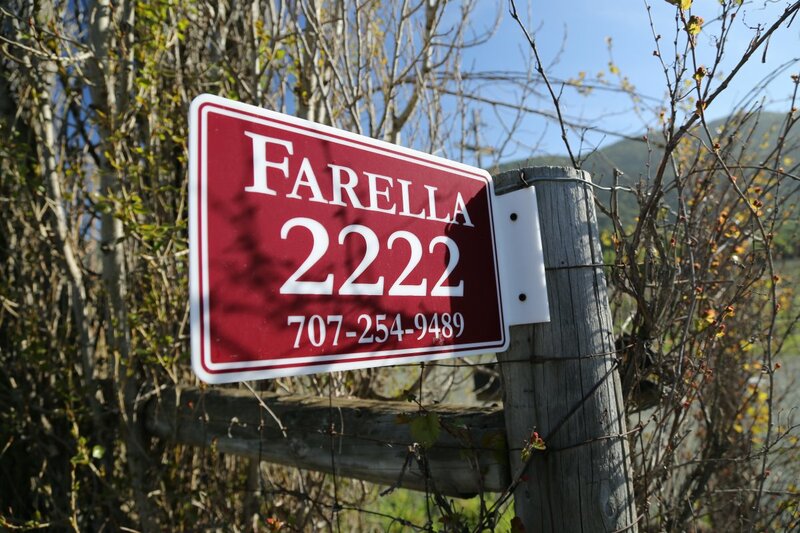 This is a family owned winery – Frank Farella purchased land here in the mid 1970’s and his son Tom Farella has been the winemaker and manager for many years. Tom studied at UC Davis ultimately earning his degree in Viticulture and Enology. 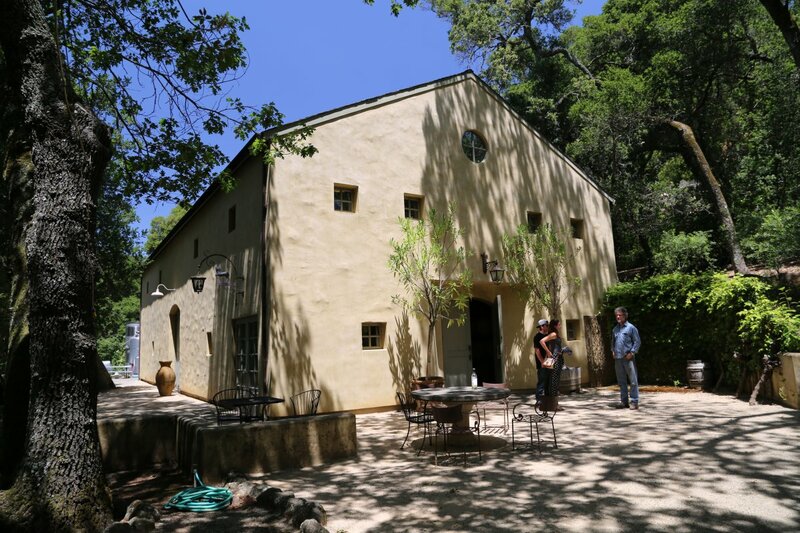 His first winery stint after college was for Lou Preston at Preston Vineyards in the Dry Creek Valley in neighboring Sonoma County. He also gained valuable International perspective on wine making from time working in Burgundy, France. 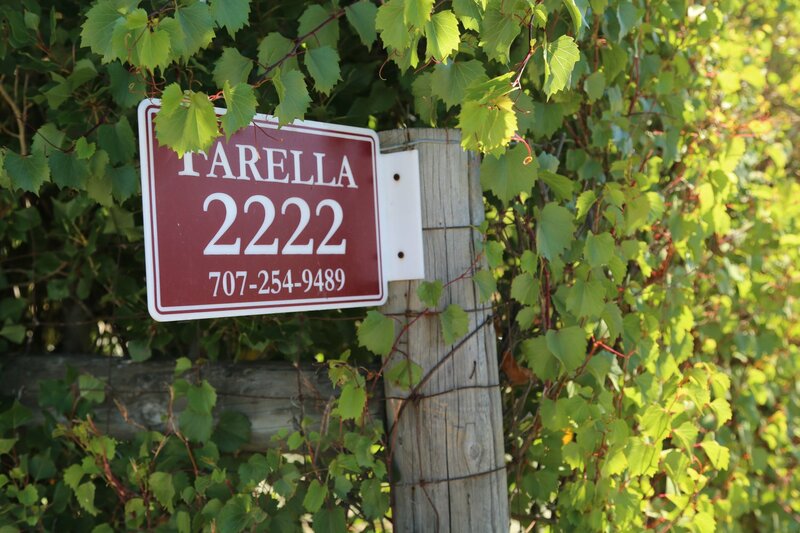 The total estate vineyard property is planted to 26 acres. Fruit from various blocks in much of the vineyard is sold to mainly small premium producers based in Napa while Tom holds back about 25% for his own wines. The winery itself is not the original winery they began making wines in (their first vintage was 1985) but rather was built some years later. 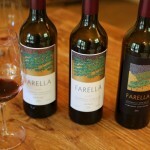 Today it is home to the Farella Wines and also at times houses smaller producers that Tom works with or makes wine for. The winery itself is located just off of 3rd Avenue (not to be confused with 3rd Street in Napa) and is situated on a hillside under many oak trees. The tasting is a very personal one on one experience with Tom – who is usually available on the weekdays. 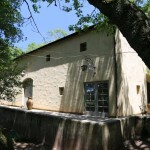 A visit here is by appointment for serious wine enthusiasts and is arranged around Tom’s schedule. 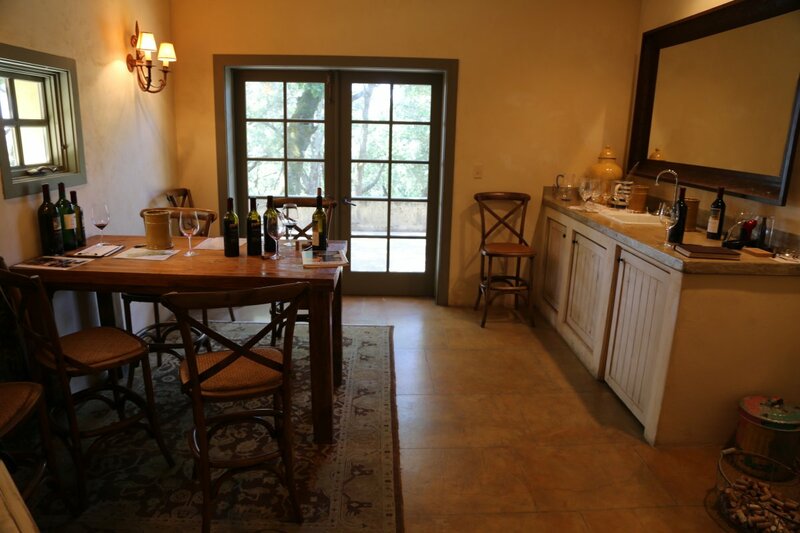 Since Tom is responsible for most aspects of this winery and is also involved in other winery projects – when you request an appointment, it will help if you have a few suggested times. 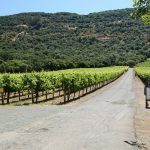 This is a unique opportunity to meet with a long time Napa winemaker, someone who has seen a lot of changes in the valley and worked numerous harvests and is extremely well versed on a number of wine topics. 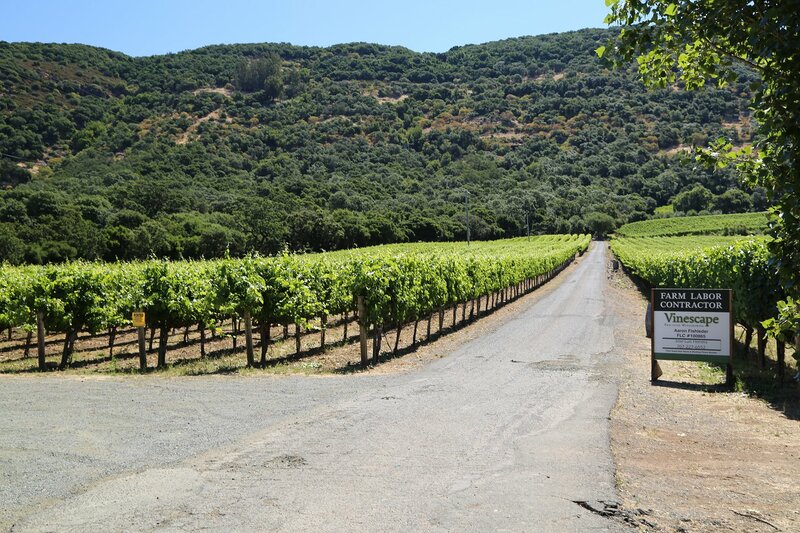 Tom was directly responsible for creating what is still Napa’s most recent sub appellation – Coombsville. 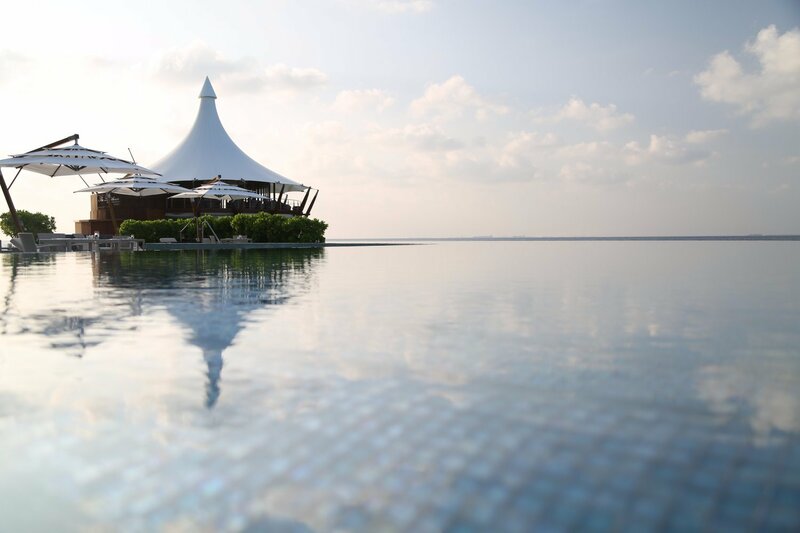 The formation of this geographic region has been of interest to him for many years. 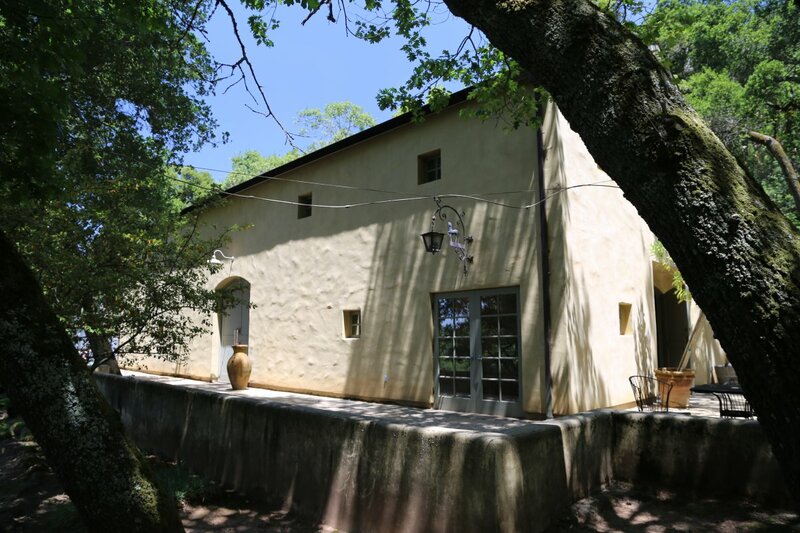 During some down time in 2008/2009 when the economy was faltering and after a previous attempt to create a sub appellation in this part of Napa (under a different name) Tom drafted a proposal and then told several vineyard neighbors his plans. Coombsville was granted AVA status in late 2011. 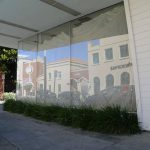 It was also during this slowdown in the economy that Tom referenced his years in the industry and realized that the wine business is cyclical and the economy would improve at some point and so to would wine sales. When many others were cutting back on there production Tom did not; he actually increased production! When the economy turned around his decision (albeit perhaps somewhat risky at the time) has benefited greatly. He has been able to satisfy increased demand for his wines as the wine market strengthened in the ensuing years. 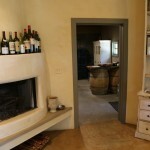 Typically you will taste several wines in the “fireplace” room and then walk next door for a few barrel samples. 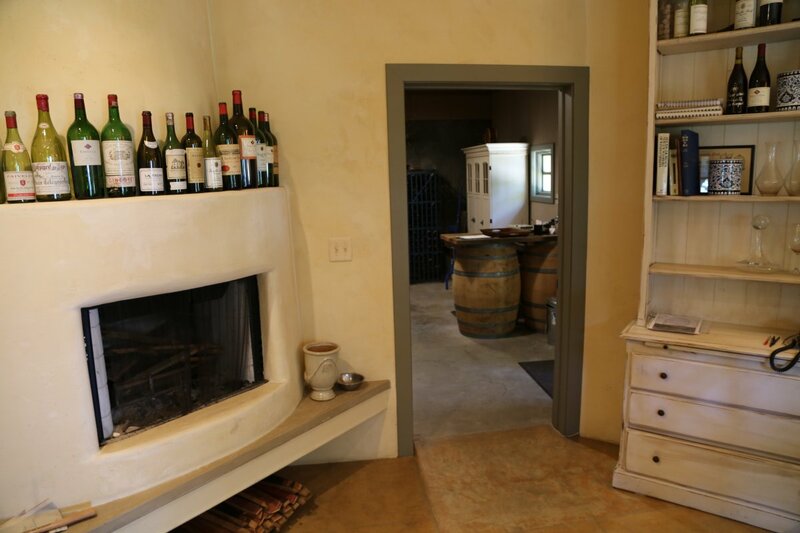 He has a large variety of various wines at any one time in the barrel and this part of your tasting can be very interesting as you can try many wines in various stages. Tom makes about 1200 cases and as a result is not a huge winery; individual attention is given to every wine he makes. The price to quality ratio is quite good. One of the wines we tried had a production of merely one barrel! 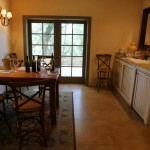 All their wines are meant to be enjoyed with food and they are styled with that in mind. 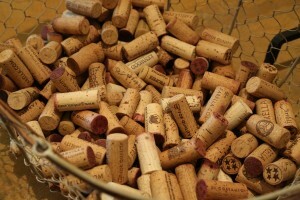 These wines are not the super extracted California wines that can often overwhelm aromatically as well as on the palate. Balance is a key component to Tom’s wine making philosophy and is an element that is apparent throughout these wines. 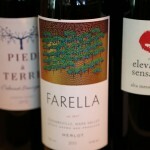 Farella makes a refreshing Sauvignon Blanc that is consistent in it’s flavor and aromatic profile each year. This is their only white and is one of the nicer Sauvignon Blanc’s we’ve tried in Napa. 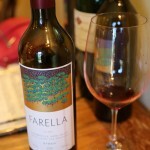 It is also the first wine he and his father made under the Farella label. It is made without the use of oak – the latest vintage reviewed is the 2014 “La Luce” (the 30th anniversary wine) – this wine has aromas of honeysuckle and lime and flavors of gooseberry and green apple. It has very good acidity – it is a crisp clean wine of this varietal. The finish shows enough acidity to cause your palate to salivate for some time afterwards. Their Merlot is very reasonably priced for the quality. 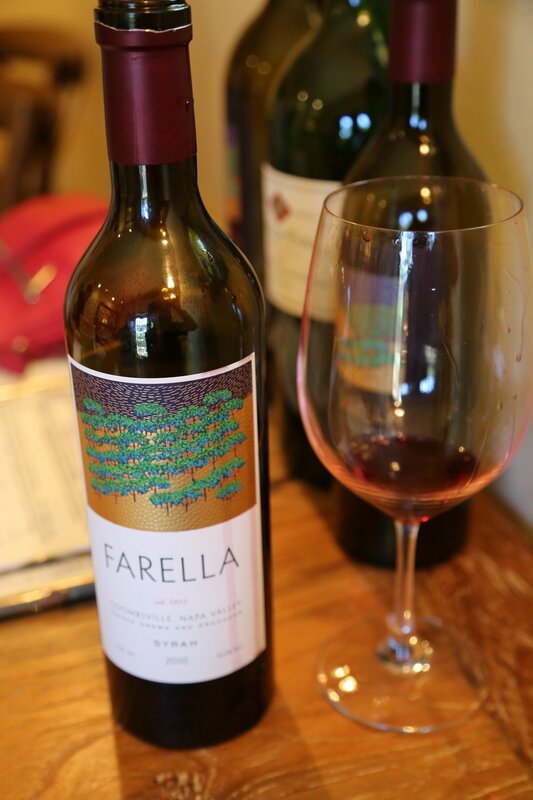 Our most recent tasting included the 2012 vintage; this varietal was the original red wine made at Farella. This wine shows nice aromatics including plum and blackberry with a palate that has good flavor, a lighter style mouth feel. It is a very young wine still – the tannins were showing a bit tight at the time of our tasting but is a wine that certainly has plenty of life ahead of it. 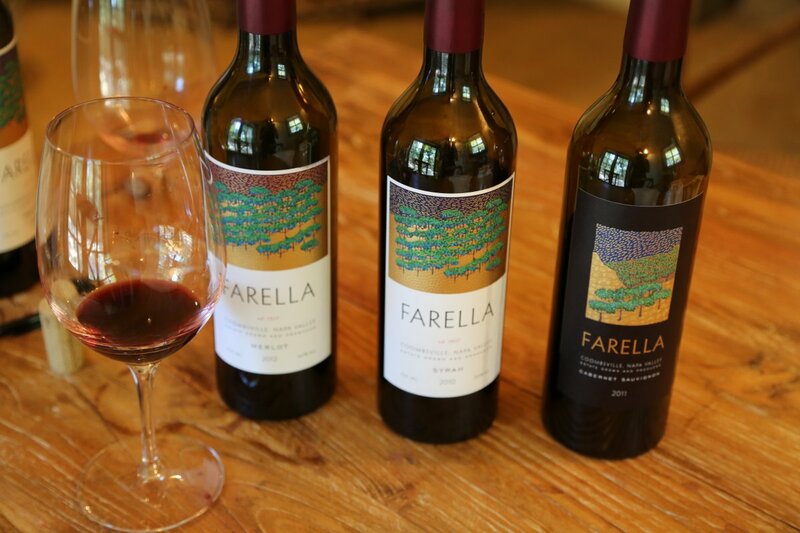 Farella makes a tiny bit of Malbec each year from a vineyard growing up the slope directly outside of the winery. The 2010 (only their second vintage of this varietal) smells very appealing – dessert with baking spices, cinnamon and chocolate along with plenty of fruit. On the palate it is very balanced, with earth notes and higher toned fruit. Very good acidity. Other wines include Cabernet Sauvignon, a delicious Syrah (same vineyard source for 10+ years) and prior vintages of Alta, a Bordeaux Blend which is usually two varietals; Cabernet Sauvignon and Merlot. As with Tom’s other wines, this blend is also available in very small quantities. Balance is the key to this wine with fruit, acidity and tannins. An abundance of layered fruit flavors show on the palate and the tannins are delicate and do not overpower the finish. 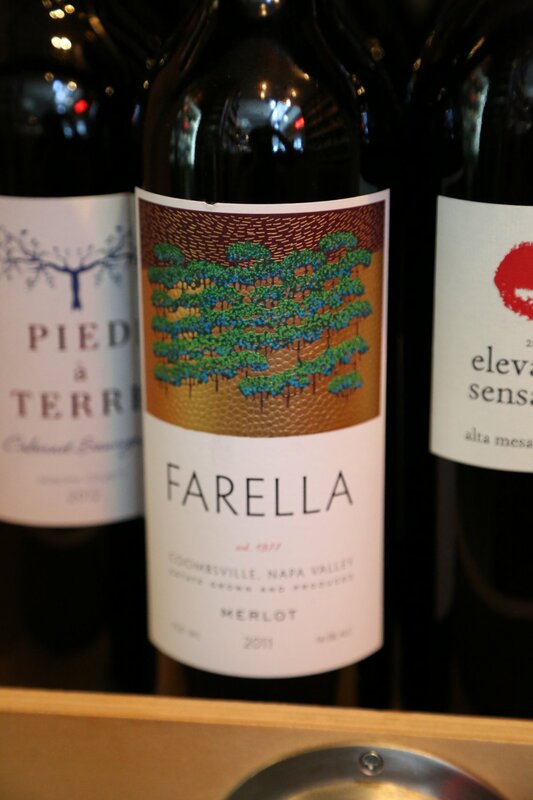 A unique feature of Farella are older vintages that are still available for purchase. For many years Tom would hold back a significant part of each vintage (until approximately the 2001 vintage) and then sell these after they had some age. 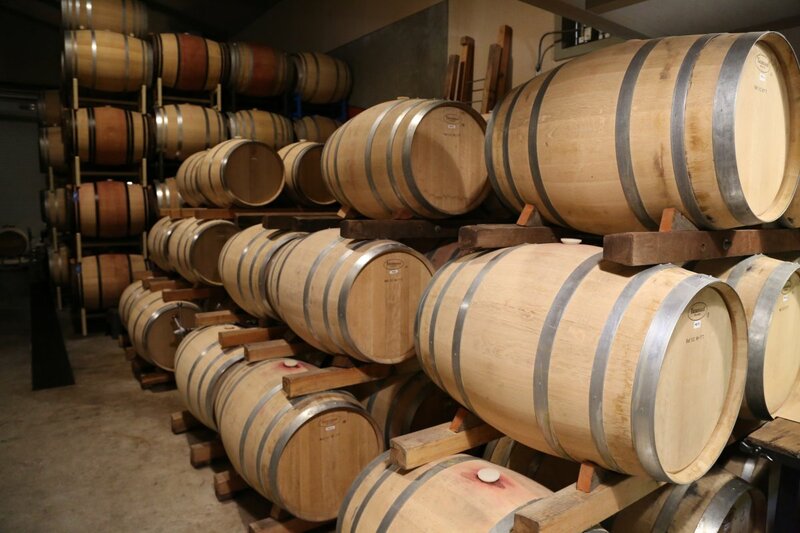 Today he has a number of older wines – selling these both direct to consumer during on site visits as well as to select restaurants who have an interest in presenting aged wines to their own customers. 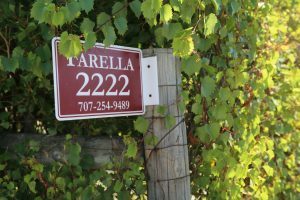 Farella used to make Pinot Noir under the Farella-Park label. The 1995 Elke Vineyard Pinot Noir for being twenty years old at the time of our tasting still shows plenty of life. An underlying acidity has been the key to this wine holding up so well. Aromatically it shows notes of raspberry, cola, white pepper a woodsy smokiness and notes of brown chocolate. On the palate the wine is balanced; the tannins are smooth yet still noticeable – more so on the sides and back of the palate than on the front and they linger delicately for some time. There are flavors of cranberry and red cherry. If somehow you have the patience to not drink all of the wine immediately after you open it, it is even better on day two. 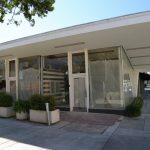 NOTE: In February 2017 the Outland collective wine salon opened (of which Farella is one of three partner wineries represented) on Franklin Street in downtown Napa along with Samantha Sheehan of Poe Wines (Poe makes wine in Napa but from mainly Sonoma & Mendocino wines) and Forlorn Hope wines (see our review of Outland Wines). 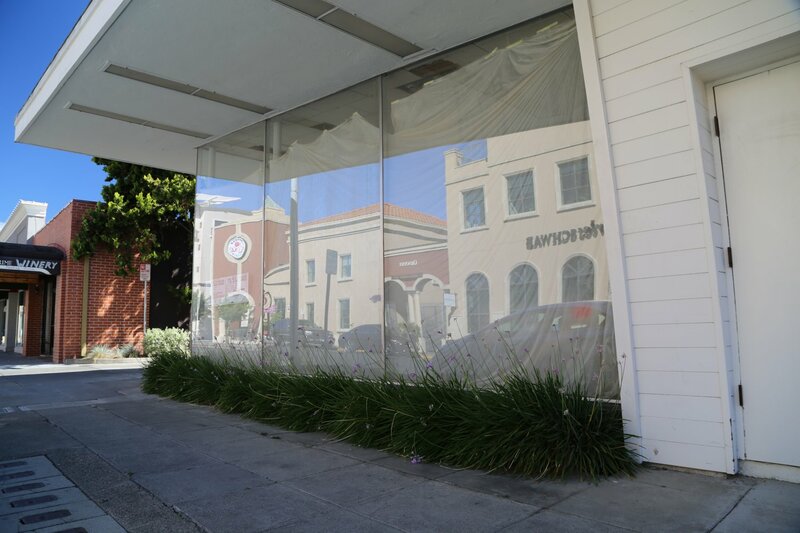 The tasting room is now open! 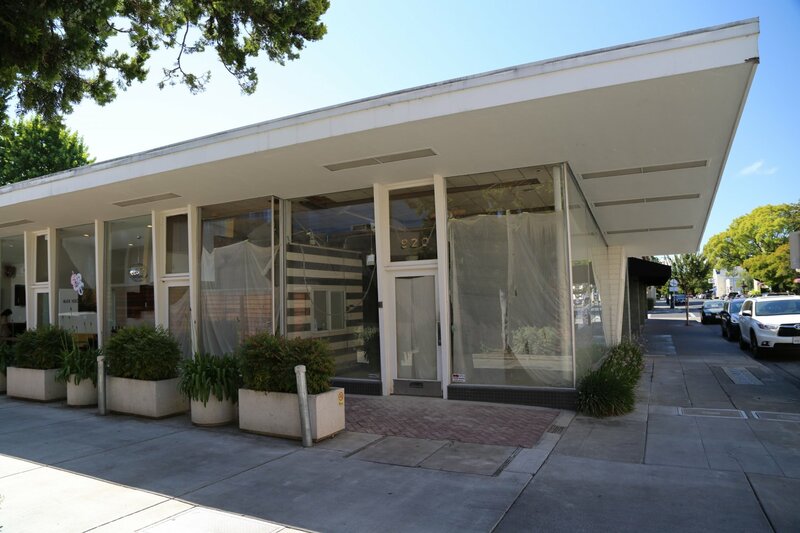 NapaCasual – thanks for the update on the tasting room. 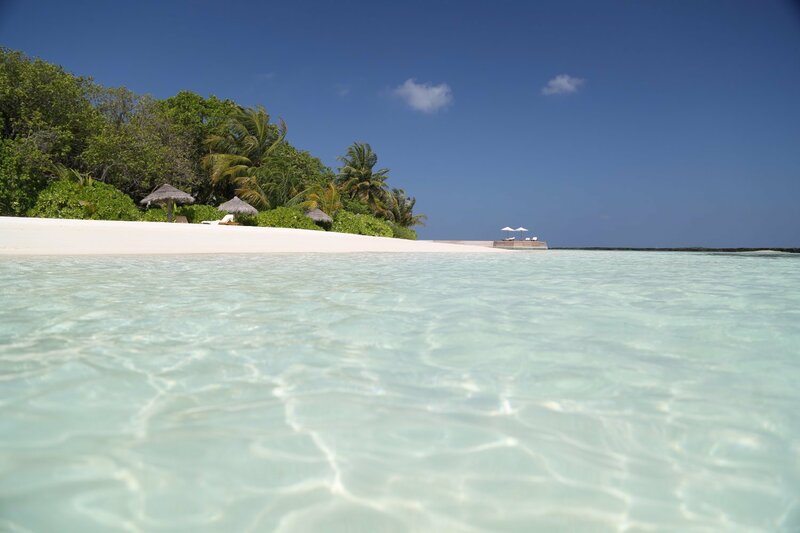 And greetings from beautiful Maldives at the moment. Currently taking my annual several month break abroad from the intensity of the work needed to update and maintain the Napa Wine Project as well as from the annoying weather this time of year in the valley. I will definitely stop by the tasting room when I get back stateside towards the end of February or early March and will update this review and photography at that time.